With a past of oppression and sadness in their history, Armenians have shown themselves to have a fighter’s spirit that will not extinguish. After near annihilation due to Genocide committed by the Ottoman Turks in 1915, the Armenian population had lost 1.5 million brothers and sisters in the slaughter. With a strong pride and fighting spirit driving them on, Armenians regrouped and scattered to all corners of the world to start over. It is no surprise that with such a proud nature and never-say-die attitude that many Armenians have excelled in the fighting arts. Armenians have shown themselves to be relentless competitors who proudly put on a show for the fans. Roman, a native of Vanadzor, Armenia, started his martial arts training with a background in wrestling, Sambo and Judo. Roman came to the States in 1997 and eventually settled in Los Angeles in 2000. Roman made his big break on the popular reality series the Ultimate Fighter during the sixth season. Roman saw this as his chance to enter the UFC with a bang and made sure to impress the coaches during the early training sessions. Unfortunately the “Big break” was not as expected; the break ended up being Roman’s elbow before he even had a chance to fight. With a classic Armenian pride still intact, Roman declared that he would fight despite having an injury. Unfortunately the doctor’s disagreed with Roman and recommended that he not be able to continue. Dana White decided to replace Roman with another fighter but kept the talented fighter in mind for the future. Roman returned at the TUF finale beating Dorian Price by leg lock in only 23 seconds of the first round. Roman’s second fight did not go as smoothly against talented grappler George Sotiropoulos losing to TKO strikes in round two. Roman has since been cut by the UFC and working his way back in smaller shows hoping to compete in the UFC again soon. Georgi “Insane” Karakhanyan, born in Russia to Armenian parents, is a very talented fighter. Georgi eventually made his way to California, settling in Rancho Cucamonga and pursuing his fight career. After working his way through several small shows, Georgi was given the opportunity to compete in the upstart Bellator promotion. Georgi had a devastating win against Bao Quach, finishing him with a hard knee and knocking Quach into next week. Georgi came up short against game wrestler Joe Warren who put Georgi on his back throughout the entire fight, forcing Georgi to defend rather than attack. Georgi is a young and game opponent who proves that his tattoo is correct fighting with an “Insane” pace. The future seems bright for this young, talented Armenian. Karen started his martial arts training at the tender age of 5 sparking his interest early. Karen also had a background in boxing, wrestling and judo. Karen went undefeated in his amateur boxing career with a 12-0 record. Karen also had numerous titles in judo and grappling tournaments before entering MMA at age 18. Training alongside other seasoned Armenian fighters like Karo Parisyan and Manny Gamburyan was pivotal in the success of Darabedyan. Karen fought on local shows and worked his way up the Lightweight rankings amassing an 8-1 record. Darabedyan got his big break with the WEC promotion making big waves in his first performance. Karen defeated former Lightweight champion “Razor” Rob McCullough via unanimous decision. Karen’s next WEC outing against Bart Palaszewski did not go as smoothly, seeing Karen lose via armbar submission. The young Armenian is still young and hopes to regroup with his next fight at WEC 49 against Will Kerr. We expect good things to come from this talented Lightweight. Karo is perhaps one of the most notable Armenians in MMA for several reasons. Parisyan was born in Yerevan, Armenia, and he later emigrated to the US, eventually settling in North Hollywood, Calif. Karo was an innovator in the Sport of Mixed Martial Arts, bringing his Judo skills into MMA. Judo is usually done with a Gi and centers on throws and chokes. Karo was successful in adapting the Judo style to MMA without needing a Gi. Karo is one of the most successful students who trained under highly skilled Armenian coach Gokor Chivitchyan and “Judo” Gene Lebell. Karo had early success in the King of the Cage promotion as well as adding a WEC title to his name by defeating veteran Shonie Carter. Karo made an immediate impact when he made his UFC debut with a win over Dave Strasser. Karo had a hard battle with George St. Pierre but came up short in that bout. Parisyan rebounded with wins over highly touted fighters such as Chris Lytle, Nick Diaz, Matt Serra and Nick Thompson. Karo was offered a Welterweight title shot against then champion Matt Hughes, but regrettably had to pull out due to a leg injury. Karo had his next and most exciting bout with TUF alum Diego Sanchez, which earned both one of the top 100 fights in UFC history. After his loss to Sanchez, Karo had injuries, training problems and lackluster wins against Drew Fickett, Josh Burkman, and Ryo Chonnan. 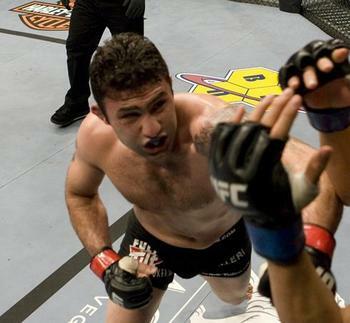 Karo lost his fight with Thiago Alves by devastating knee to the head making it the first knockout against Parisyan. 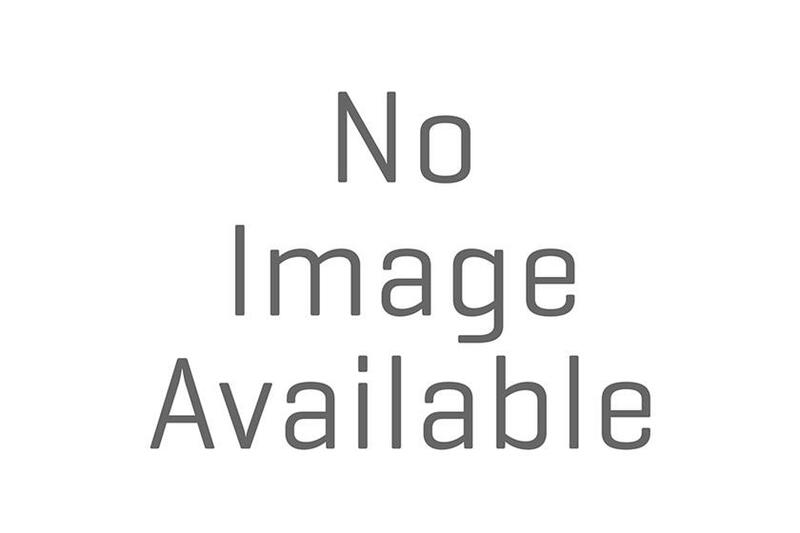 Karo was caught with a banned substance in his system after his fight with Kim Dong-hyun. Karo hasn’t seen any action since then pulling out of two scheduled fights and eventually being cut from the UFC. It is rumored that Karo will competing once again in July for the Impact FC promotion. Manvel Gamburyan who hails from Gyumri, Armenia, was known best at first for being the cousin of popular Welterweight fighter Karo Parisyan. However, Manny has a very distinguished MMA career of his own. Manny’s family emigrated to the US in 1991 where he took up training under Gokor Chivichyan’s Hayastan (Armenia) grappling system. Manny has shown himself to be a top judoka (judo player), winning several national titles as well as competing in the junior Olympics in Judo. With his cousin guiding him into the world of MMA, Manny entered the arena of MMA in 1999. Gamburyan was given an incredible chance to compete being cast onto season five of the Ultimate Fighter series. Manny trained under Coach Jens Pulver and was quickly recognized as a top competitor. Manny bulldozed through Noah Thomas, Matt Wiman, and top-rated Joe Lauzon. Dana White had stayed by his position that Manny was too small for Lightweight, but once White saw how far Manny had gotten, he took back his words. Manny came up short in the finale losing due to a dislocation of his shoulder against Nate Diaz which many thought was Manny’s fight to win. Manny was still awarded a UFC contract having impressed Dana White with his performance. It seemed to be a smooth ride with Manny winning two fights in a row after the finale defeating Nate Mohr and Jeff Cox. With momentum behind him Manny came up short against Rob Emerson and Thiago Tavares. Manny was offered an opportunity to drop in weight to compete in the WEC’s Featherweight division. With the drop in weight, Manny was facing opponents closer to his natural size giving him an even bigger advantage in his fights. Manny has gone undefeated since arriving in the WEC, beating John Franchi, Leonard Garcia, and former champion Matt Brown. After the punch heard around the world to Brown’s chin, Manny had silenced his critics. Manny is now in line for a fight with the dangerous Featherweight champion Jose Aldo. Gegard is possibly the most popular Armenian fighter competing in MMA today with the most accolades. Gegard was born in Tehran, Iran, to Armenian parents. His family eventually emigrated to the Netherlands, where Gegard took up an interest in fighting. Gegard originally took up judo and added boxing to his game soon after. Mousasi became the boxing champion of the Netherlands and seeking a new challenge moved into kickboxing. With a 3-0 record in kickboxing, Gegard sought out to challenge himself further by entering into MMA competition. With a then 12-1-1 record in MMA,Gegard was quickly snatched up by top Japanese promotion PRIDE to compete for them. With two wins and a lone loss to Akihiro Gono Gegard, pressed on. 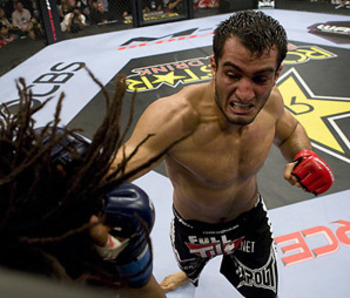 In 2008 Mousasi had a huge chance being invited to compete in the Middleweight Grand Prix for the Japanese DREAM promotion. Mousasi faced off against some of the top Middleweights in MMA defeating Denis Kang, Dong Sik Yoon, and powerful striker Melvin Manhoef on his way to the finals. Gegard shocked many who thought Renaldo “Jacare” Souza would be too much for him in the finals. With an up-kick from his back, Mousasi had knocked out his game opponent and won the Grand Prix. When many fighters would have been basking in their accomplishments, Gegard was searching for the next challenge. Gegard ventured to the US for the first time to destroy then Strikeforce Light-Heavyweight champion Renato “Babalu” Sobral. With another belt around his waist, Mousasi defeated Thierry Sokodudjou with TKO punches. Gegard’s title reign in Strikeforce ended after a disappointing performance against “King” Mo Lawal this past April in Nashville. Count on Mousasi coming back better and more focused for his next fight.